What’s the most important part of your sales conversation? LIVE: Susan Says! Ep. 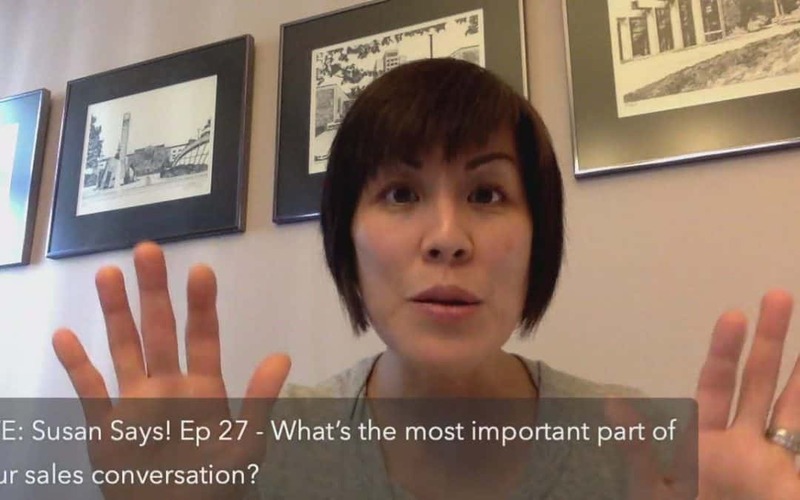 27 – What’s the most important part of your sales conversation? >> Why the way you close your sales is NOT the focus! Sometimes when people scale quickly, income comes easily and the process isn’t documented and not duplicated. It feels kind of random. What do you think about publishing prices vs not? Can’t wait for part 2!! !